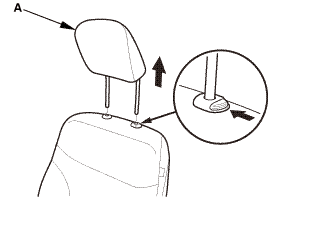 Remove the headrest restraint (A). 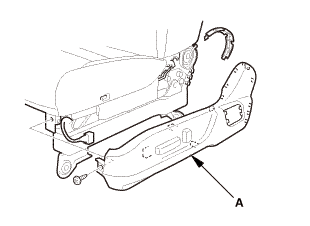 Power seat: Remove the front cover (A). 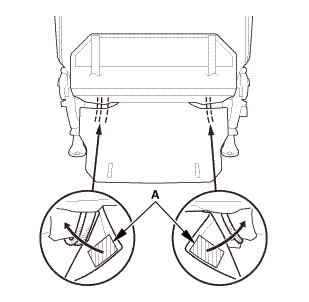 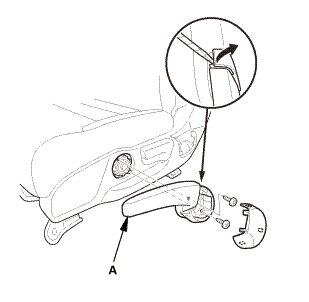 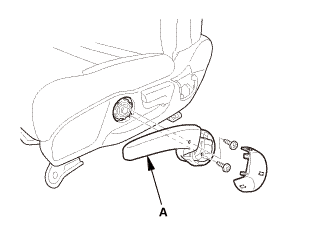 Manual seat with height adjuster: Remove the height adjuster handle (A). 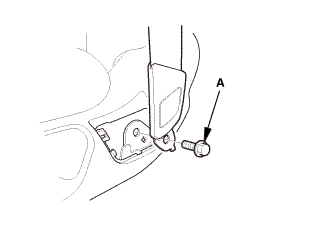 Manual seat: Remove the recline knob (A). 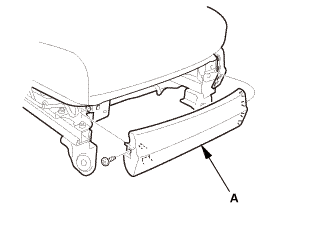 Remove the recline cover (B). 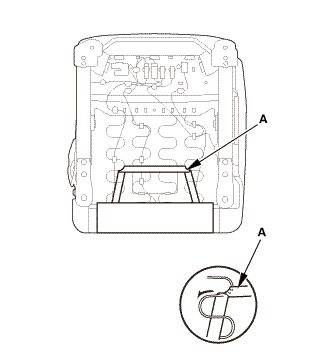 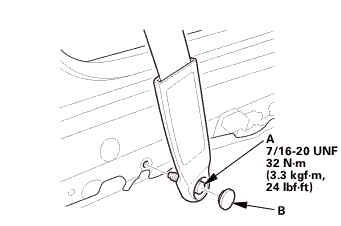 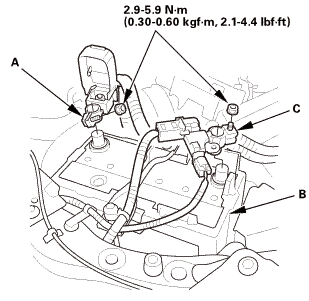 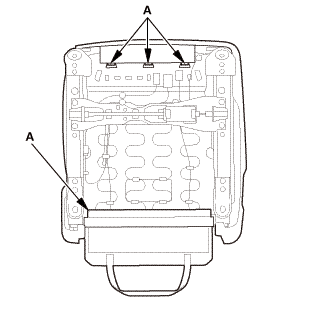 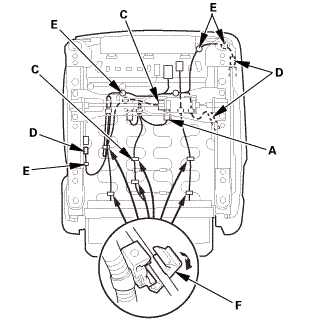 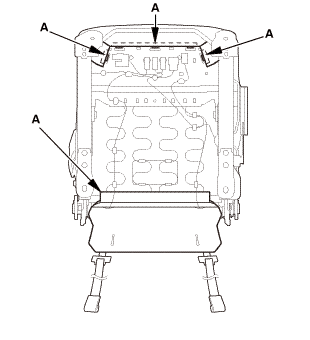 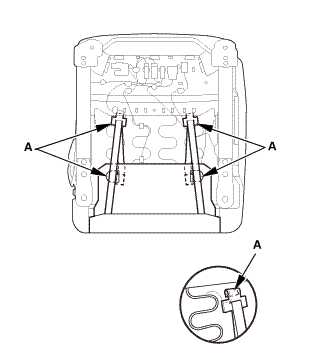 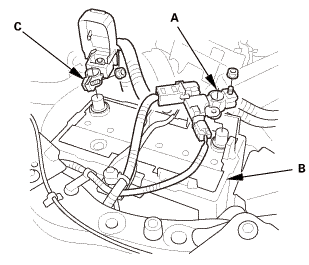 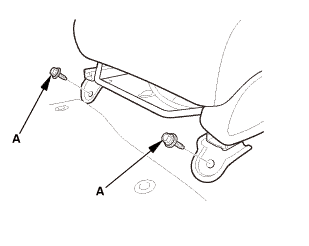 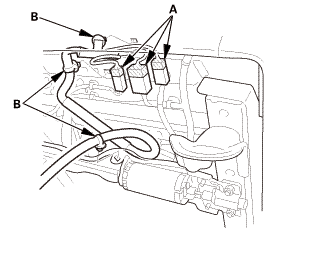 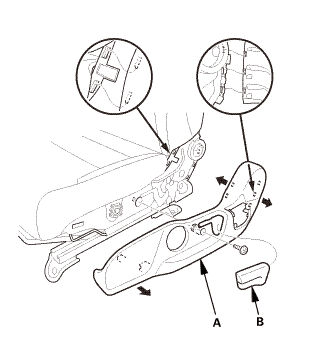 With seat heater: Disconnect the connectors (A). 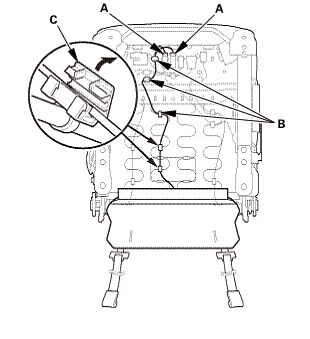 With seat heater: Remove the clips (B). 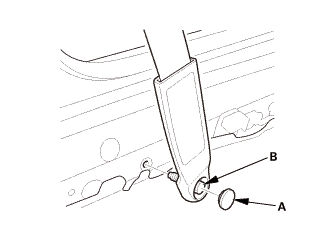 With seat heater: Remove the holders (C). 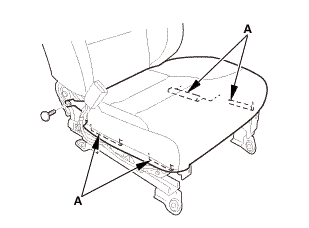 Power seat: Disconnect the connectors (D). 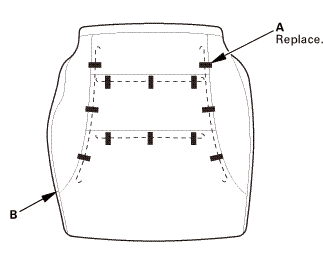 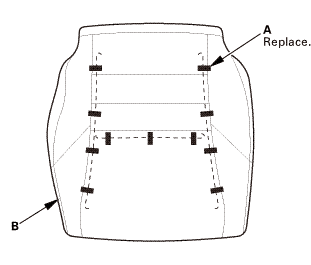 Power seat: Remove the clips (E) and the holders (F). 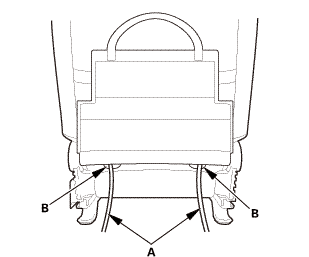 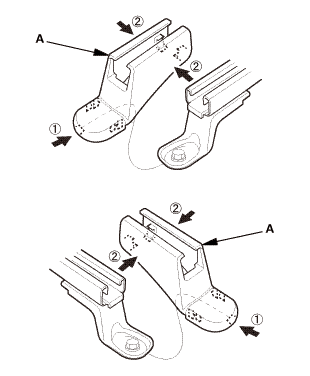 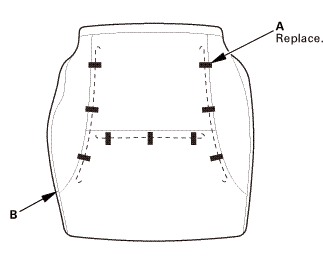 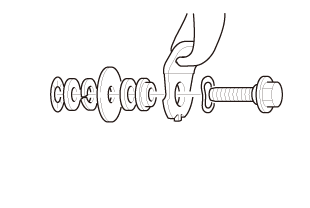 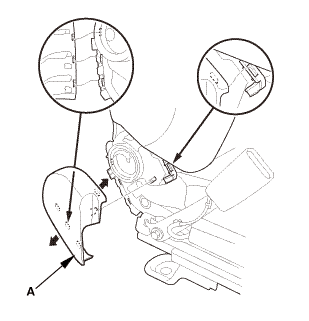 Manual seat: Release the hook and loop fasteners (A). Remove the seat cushion cover/pad (A). Remove the seat cushion cover (B). 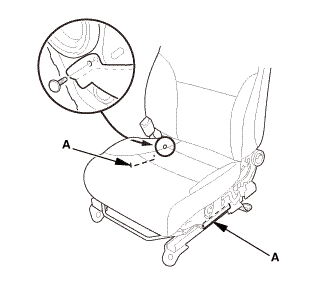 Install the seat cushion cover (A) with the upholstery rings (B). 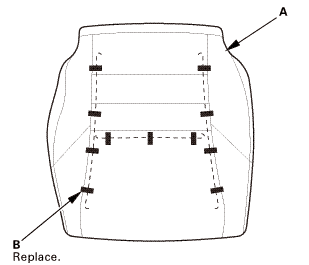 Install the seat cushion cover/pad (A). 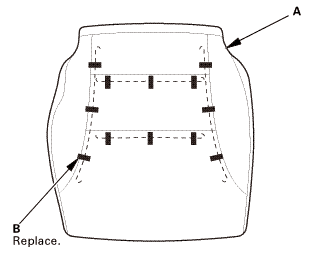 Manual seat: Install the hook and loop fasteners (A). 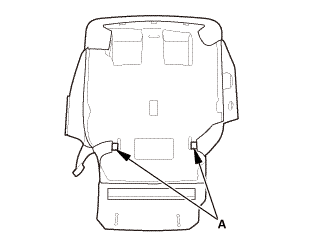 With seat heater: Connect the connectors (A). 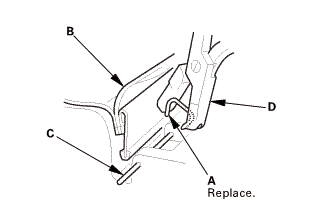 With seat heater: Install the clips (B). 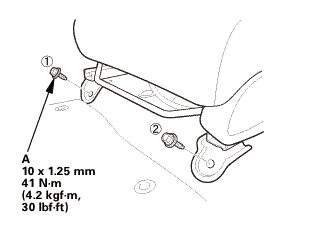 With seat heater: Install the holders (C). 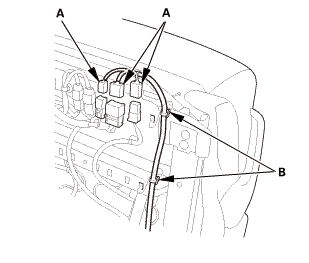 Power seat: Connect the connectors (D). 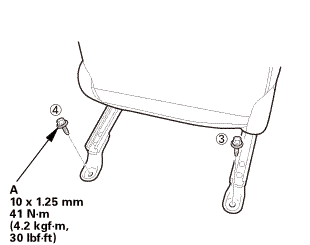 Power seat: Install the clips (E) and the holders (F). 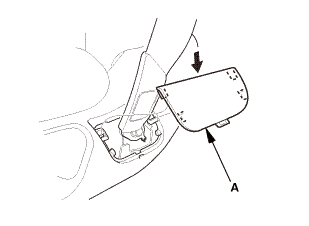 Install the center cover (A). 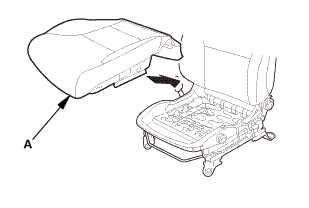 Install the recline cover (A). 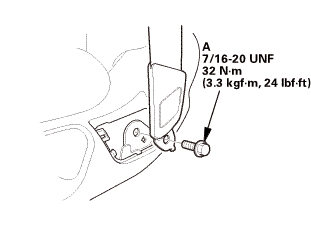 Manual seat: Install the recline knob (B). 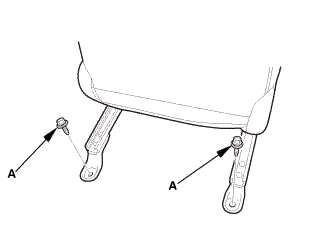 Manual seat with height adjuster: Install the height adjuster handle (A). 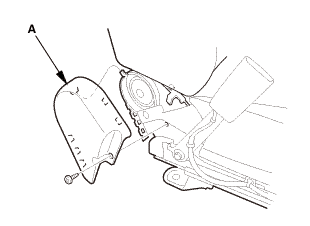 Power seat: Install the front cover (A). 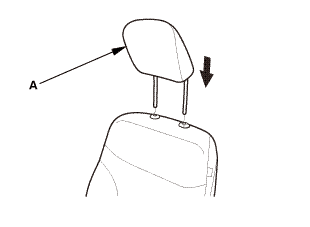 Install the headrest restraint (A).